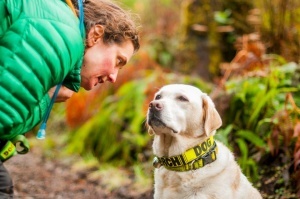 The most important thing you can do to help King County Search Dogs is to stay safe. We would rather bump into you while we are training than find you as the subject of a search mission. Whenever you go outside to enjoy the wonderful pacific northwest wilderness; 1) Let someone know where you are going and when you will return; 2) Have a plan for where you are going and be prepared with the ten essentials; 3) It is always better to hike with friends and if there is a problem: Stay Together and Stay Put! It is safer and easier to find people if they stay in one place. an extensive database of trails with invaluable recent trail reports and prudent suggestions for expert and novice hikers alike. Groups such as REI offer regular free classes in all manner of wilderness skills and there are numerous hiking clubs to connect with some great new companions. The National Forest Service and National Park Service both have websites with important updates on access road and trail conditions. KCSD is dependent on the continuing generous support of the community for the funds required to train and deploy highly trained and effective search dog teams. Unencumbered financial gifts are the most flexible but if you would like to discuss a gift or grant for specific equipment or training please contact us. Learn more on the Donate page. Due to the substantial demands on the whole KCSD team required to train new members, as well as to the low turnover of handlers, KCSD only accepts applications every few years. We would love to add you to our waitlist for notification of membership openings by contacting the membership committee. Check back for announcements on when we will be accepting applications. You can also follow us on Facebook or Instagram to receive updates.